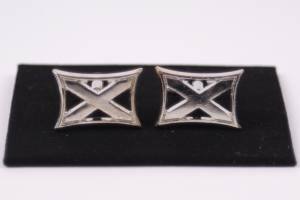 “Saltire” Style Cufflinks. Great value. Silver effect finish. Comes gift boxed. Great gift.